Anyone who has heard of the infamous Death Race knows that it takes a very special type of person to even consider attempting the event let alone actually finishing. The brainchild of Joe DeSena, founder of The Spartan Race obstacle racing series, it makes you wonder what darkness lurks in his mind that would cause him to create such an event. 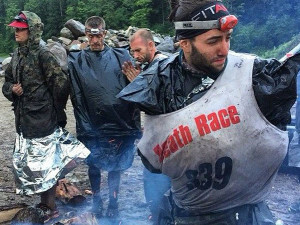 Listen as Richard Diaz chats with Dylan Davis, who not only survived the Summer Death Race, he also successfully completed the Winter installment of Death Race this past January. Dylan provides a rare first person account of the Summer Death race from start to finish. If you think you’re pretty tough, maybe you need to hear what tough is really all about.